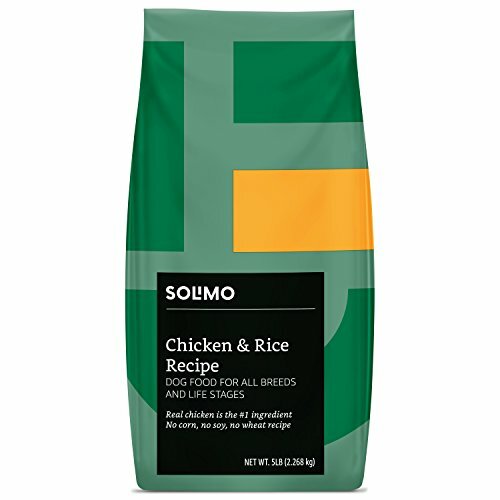 Solimo Dry Dog Food, Chicken & Rice Recipe, is a no corn, no soy, no wheat recipe that has real chicken as the #1 ingredient. There are no added artificial colors and flavors, and no chemical preservatives. Solimo Dry Dog Food, Chicken & Rice Recipe, is made for all dog breeds in all life stages. Money-Back Guarantee: If you're not completely satisfied, we'll refund the full amount of your purchase. No returns necessary. Our Trial-Size Bag lets your dog try our food without buying too much. If your pet enjoys Solimo dry dog food, try our Full-Size Bags. To avoid dietary upsets, please allow a 7-10 day transition from your dog's current food.